The Ihrigs poured everything they had into Bob’s Gridiron Grille & the Pigskin Pub — including Bob’s multi-million-dollar collection of Nebraska Cornhusker memorabilia, now all gone. Sometimes, it may be best not to follow your dreams. That’s especially true if your dream is to open a restaurant and you don’t have a plentiful supply of cash to sink into it. So learned Bob Ihrig, who tried but failed to succeed as an owner in the restaurant business. 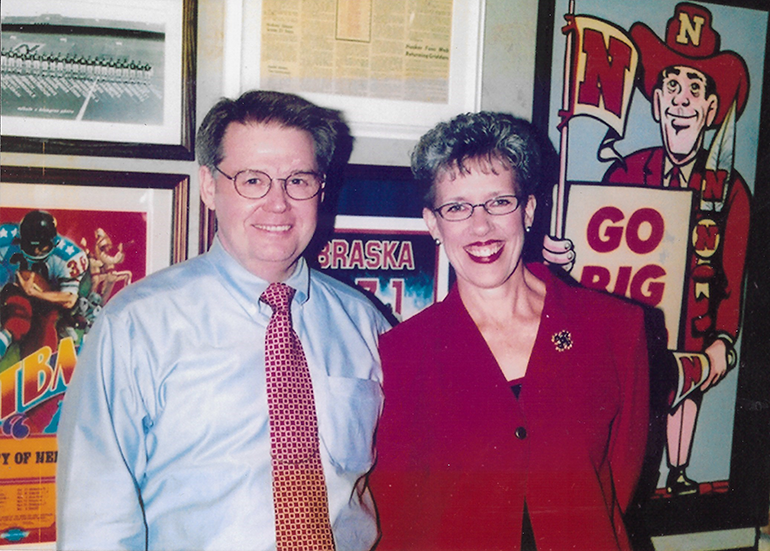 Ihrig and his wife Susan told their personal story in a 2018 book called “Million Dollar Party: A Restaurant Memoir” that detailed their efforts to open a restaurant and bar in Lincoln, Neb., themed around the University of Nebraska football team, the Cornhuskers. “The biggest mistake I made was not listening to the SBA [Small Business Administration] when they told me that 95 percent of new restaurants fail within the first five years,” said Bob Ihrig. Previously, he had worked in restaurant management for several years, first running Burger King locations and then as a manager at full-service restaurants, including Applebee’s Neighborhood Grill + Bar and Lone Star Steakhouse & Saloon. Bob and Susan Ihrig’s restaurant experience and abundant enthusiasm couldn’t compete with errors in judgment involving the menu, staffing, promotions and the fine print on the lease. After he and Susan visited a Hard Rock Café in Dallas, the idea for Bob’s Gridiron Grille & the Pigskin Pub took hold. Bob Ihrig had been a collector of Nebraska Cornhusker memorabilia since age 13, and he thought he could replicate with his Cornhusker collection what the Hard Rock Café had done with stage uniforms from the Beatles and smashed guitars from The Who. Despite vast reservoirs of enthusiasm for the project, however, the restaurant never made a profit, and in fact cost the Ihrigs nearly everything they owned, including the multi-million-dollar memorabilia collection, as a result of eventual bankruptcy. The Ihrigs started writing the book the day after the restaurant closed. Now they are positioning the memoir as a guide to “what not to do” when getting into the restaurant business. It is filled with anecdotes of mishaps and challenges, of small victories being wiped out by big oversights, all interspersed with Cornhusker history. The mistakes started on the very first day the restaurant opened in 2003, when the half-price opening day special drew a crowd that overwhelmed the staff’s ability to provide service. It was also a Saturday night, and in retrospect they should have opened on a Monday, Bob Ihrig said. “There were so many mistakes the first day, it wasn’t even funny,” said Susan Ihrig, who had kept her job as a nurse while her husband took primary responsibility for running the restaurant. He continued to make mistakes as the restaurant stumbled along. For example, he admits not trusting his instincts at times, like when he gave in to his manager’s suggestion to add rotating specials to the lunch menu, when the menu was already too large. “I didn’t want to be looked at as a bully,” he said in the book. The restaurant also was the victim of some unfortunate timing, perhaps exacerbated by bad decisions, such as when the company decided to veer from its core positioning. In 2004, Lincoln passed an ordinance banning smoking in restaurants. Ihrig decided he would try to get an exemption by driving up sales of drinks to be classified as a bar. It was a costly move that ended up being for naught when the smoking ban was overturned an hour before it was supposed to take effect. In order to increase liquor sales from 17 percent to 30 percent, Bob Ihrig added a stage for live music and began offering aggressive specials on bar food and drinks, such as 25-cent wings and tacos, $1.99 margaritas and $1 beers. Traffic soared — albeit unprofitably — and, as time went on, the company repositioned itself more and more as a venue for music, gaming (keno and other legal pastimes), drinking and dancing. The only problem was that the Ihrigs were learning how to run these types of businesses on the fly, and the mistakes compounded one upon another. The restaurant also made some bad hires, which illustrates the importance of staffing when opening a restaurant. One employee who was fired after being caught stealing — one of several that were brought on board during the restaurant’s brief existence — came back with some friends and flipped over the Ihrigs’ car, totaling it. The final nail in the coffin, however, could be described as a failure to read the fine print in the lease. Bob Ihrig said the property manager for the restaurant location informed him that he could skip paying his rent for three months while remodeling — information that proved inaccurate, as he learned when the landlord used the non-payment as a reason to force the Ihrigs out. As it turned out, only the attorney for the landlord could authorize any changes in the terms of the lease, not the property manager. In the end, Bob Ihrig said there were two fundamental problems: Not having the financial resources to cushion the miscues, and not owning the property. Now the Ihrigs would like to see would-be restaurateurs take a step back and consider carefully before jumping in. Bob and Susan Ihrig’s restaurant failed. Here’s some advice about how to do it differently. Establish a financial foundation: Mistakes will be made along the way. Do you have the financial foundation to work through missteps? Secure your real estate: Owning your real estate can make a huge difference. Landlords are not your friend. Think promotions through: Don’t offer a half-price special on opening day on a Saturday night if you’re not sure the staff can handle it. Trust your instincts: If it seems like a bad idea to add rotating lunch specials to an already large menu, it probably is. Hire well: invest in putting the right people in the right places. Correct bad decisions before they spiral: There are lots of ways to get people through your door, but not all are profitable. Analyze results rather than making concept-changing moves on the fly. Trust but verify: If someone gives you business advice that seems too good to be true, get a second opinion. “Million Dollar Party” tells how the Ihrigs’ jumped in, stumbled and fell after opening and investing tons of money in the dream they called “Bob’s Gridiron Grille and the Pigskin Bar,” a restaurant and bar in Lincoln whose popularity, Bob discovered too late, rose and fell with the win-loss record and coaching staff changes of the Nebraska Cornhusker football team. Million Dollar Party is a beautiful look at the life running beneath the surface of one’s work. Million Dollar Party by Robert Mark Ihrig and Susan Jean Butherus Ihrig is an engaging memoir about opening, running, and closing a restaurant, and how that enterprise changed the way that the Ihrigs thought about themselves. Concentrating primarily on Robert, the Ihrigs’ compelling story begins at the end: their restaurant is closing for good, and their staff has gathered for one last raucous time together. The opening scene details each person in attendance, giving a sense of the authors’ care for people and knack for characterization. From there, the narrative goes back to Robert Ihrig’s childhood. The book continues to alternate between present day, in the aftermath of the restaurant’s closing party, and flashbacks from earlier, until the two streams join to form a coherent picture of Robert Ihrig and the story of his restaurant. This is far from a tell-all account. Instead of exhaustively gathering details, the book weaves a well-rounded picture of Ihrig’s life, concentrating particularly on notions such as how parents shape a person’s dreams and identity, or on how one event may build on another fluidly, right up to the point of an unexpected junction, or a break, that opens the floodgates to something new. A but heartbreaking, but a test of will as well. Would have been nice for author to give a follow up. Thank you to author, publisher and NetGalley for the chance to read. While I got the book for free, it had no bearing on the rating I gave it. The authors will host a reading and book signing from 6:30-9 p.m. Thursday, July 12 at the library. Relive the ups and downs the couple encountered during the process of owning a restaurant in Lincoln. Perhaps this book should have merely been called, A Life. Although the author wanted to tell the story of his failed restaurant adventure, he really told the story of his life, growing up in mostly Nebraska in the 1950s and 1960s. Ihrig’s dad developed heart disease and died in his thirties. One forgets that until recently, heart disease was a death sentence. Ihrig tells of his mom’s alcoholism, his love of rock bands of the 60s, and of course, the Nebraska Cornhuskers. His collection of Nebraska Husker memorabilia had to have been one of a kind. Ihrig’s life was one of adventure, of doing things his own way with success as well as failure. A Life. 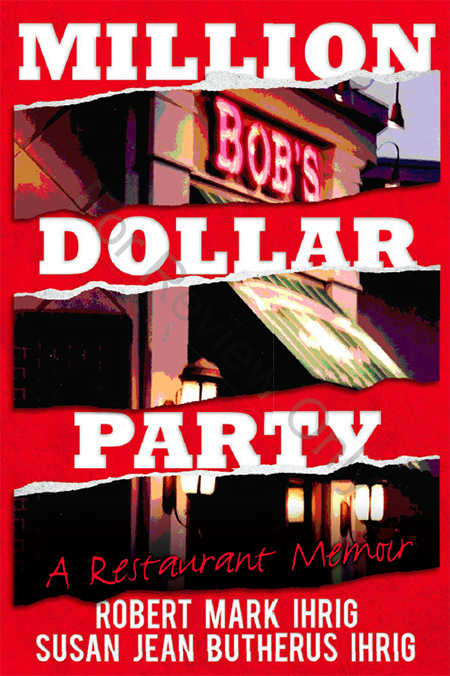 Written in vignettes from a few paragraphs to a few pages, Million Dollar Party starts with the closing party for Bob’s Gridiron Grille and flashes back to Bob’s early years in Clatonia and school days in McCook, interspersed with Cornhusker game highlights and memorabilia collecting. Bob’s Gridiron Grille was the culmination of the Ihrig’s dreams; but it failed. Perhaps it was the economy, perhaps it was timing, or just an unlucky break. By the end, Bob and Susan have only $500 and a run-down vehicle in which they escape to Colorado—a pair of modern day refugees. Easily readable, Million Dollar Party travels through the years reminding one of what was. Easy and hard, good and bad—A Life! Thanks for the memories! Your book Million Dollar Party is truly inspirational!! Everyone should read your book to discover two strong and persevering people from the heartland of America!! You are to be admired and respected in the dedication of the journey for your dream!! You don’t have to be a Nebraska Cornhusker football fan to enjoy this book. 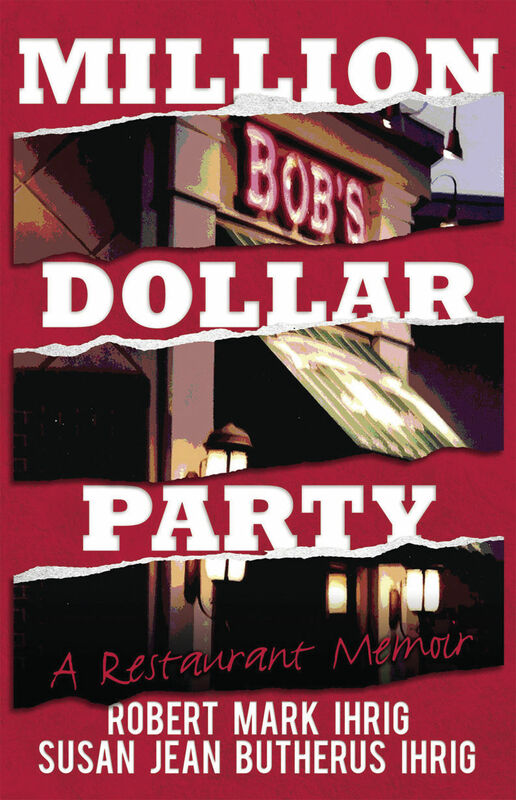 However, anyone that’s a dedicated college football fan and those that are aspiring to establish a high quality restaurant operation, Million Dollar Party is a “must read”!!! Actually it is a must read for anyone as, it is a “roller coaster of emotions” of your incredible experience! Without a doubt, I highly recommend this book Million Dollar Party!! You will enjoy, enjoy, enjoy!!! !